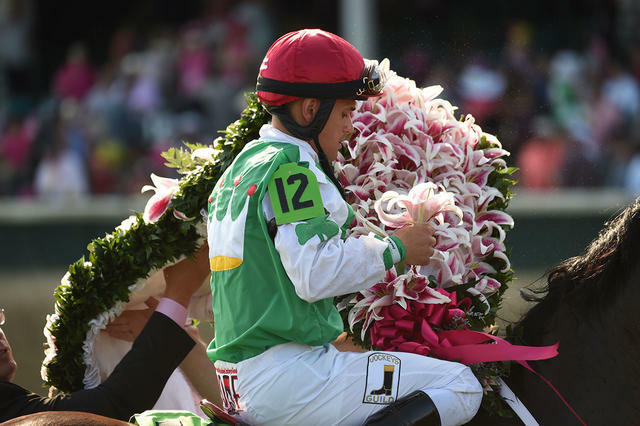 Irad Ortiz Jr., rider of Lewis Bay (third) – "She surprised me. She was very keen. She was on her game today. She was pretty close, I didn't think she'd be that close. But, that's racing. She broke aggressive. She relaxed nicely. I had to move a little early for her style. Maybe could have run second, but she still ran a beautiful race. The trainer (Chad Brown) did a great job with her. She's a nice filly." Brian Hernandez Jr., rider of Dream Dance (eighth) – "I thought my filly ran great. She settled in behind horses pretty good. We had a little traffic issue around the second turn, which you're going to have in these 14-horse fields like that. When I finally got her back out in the clear she ran on from there. She closed even more ground. She dug in and she impressed me for a young 3-year-old filly like she is. She ran against the best in the country and didn't disgrace herself. I thought she ran her race and she showed up." Ricardo Santana Jr., rider of Terra Promessa (10th) -- "She was really sharp today. She broke really sharp. I sat her down and she relaxed a little bit. She doesn't run like that (on the lead). It was pretty hard on her. No one broke with her."